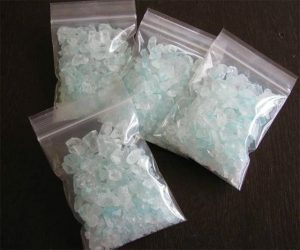 Crystal meth is, as previously stated, one of the most popular drugs in North America next to crack. It brings on a sense of euphoria that is prolonged for a certain period of time, and a general rush of pleasure. This is, of course, according to regular meth users. You may feel a boost of confidence, feelings of being desirable, and an overall sexual prowess, but make no mistake, what actually happens is very different. While you feel that you are king of the world, you are actually perceived as a junkie, disgusting, and the opposite of everything you may feel you are while taking meth. Even though you may feel beautiful and superior, you are actually destroying yourself and making yourself a nuisance to your friends and loved ones. This is especially true when it comes to meth mouth. If you use crystal meth you are probably very familiar with the term “meth mouth”. It’s disgusting to see and destroys your oral health completely, which will require thousands worth of emergency dental care. Your teeth, or whatever ones you have left, will have to be pulled and, unless you’d prefer to have no teeth, will require either a set of dentures or dental implants. Overall, you’re looking at thousands of dollars, sometimes in the hundreds, all from substance abuse of crystal meth. Meth mouth is characterized through broken, discolored, and even rotting teeth. Meth itself dries out your salivary glands and lets the mouth’s acid run rampant and destroy the enamel on your teeth. Without strong enamel, you’re going to get multiple cavities and later tooth decay. By the time you even realize that you’re suffering from meth mouth, it’s already much too late. Once meth gets into your system, whether it be through smoking or snorting it, the blood vessels shrink and limit the needed blood supply to the mouth. This is a serious problem because this blood flow is needed for a healthy mouth. Over a period of time, even if it’s a short one, the vessels will continue to shrink and die at a very quick rate. Once this happens, the oral tissues will begin to decay, the mouth will go dry, multiple cavities will quickly develop, and the teeth will rot straight out of your mouth. Meth addicts are also prone to other destructive habits that just add fuel to the fire. They are more prone to grinding their teeth or have always done so naturally out of habit. A lot of meth users have a very poor diet because of their addiction, which usually consists of junk food high in sugars. Neglecting to floss and brush their teeth for long periods of time only worsens their meth mouth, and practically paves the way for tooth decay and eventually complete rot. What is the Cause of Meth Mouth? The cause meth mouth is obviously the drug itself, but why this happens exactly is undetermined. Reports have claimed that they decay is the result of the corrosive chemicals that are typically found in meth. These include anhydrous ammonia, which is found in common fertilizers, red phosphorus, found in matchboxes, and lithium, which is found in most batteries. Reports and research studies also claim that the eroding of the protective enamel coating on the teeth is the cause for meth mouth, but it is a lot more likely that it’s because of the serious degree of tooth decay brought on from both the drug itself and the side effects, including not caring about oral hygiene, grinding the teeth, etc, together. While general neglect to oral health is not an official side effect, it’s one of the biggest. The high of meth itself leaves you feeling like you’re on top of the world, a lack of caring for eating, and causes you to not care about much in general. How Long Does it Take for Meth Mouth to Kick in? The onset of meth mouth developing is different for each person, but make no mistake, no matter what you do to prevent it it’ll still show up eventually. Users claim that regular oral hygiene is enough to prevent meth mouth from occurring, but eventually, it will happen and there will be no going back unless you have thousands to spend on repairing your mouth, which usual addicts don’t have. 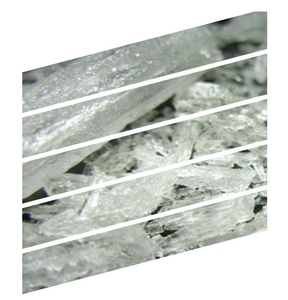 Some users believe that snorting crystal meth will keep meth mouth away, but that is very untrue. It only keeps meth mouth away for a longer period of time when compared to smoking it, but the end effect is actually much worse. For the record, snorting meth instead of smoking it actually worsens meth mouth even though most think it’s the other way around. However, it all depends on your oral hygiene habits, if any. Some addicts have been fine for months at a time, whereas others went through years of use before the effects of meth mouth really started to show. Meth mouth isn’t the only visible sign of a meth addiction. The drug destroys the blood vessels and the tissues in the body overall, both inside and out, and even inhibits the body’s natural ability to repair any damage taken. Skin loses the elasticity and luster, acne sores appear and can take longer to heal. What’s worse, meth addicts are known to scratch their faces and constantly poke at their acne, which causes acne scarring on a severe level. In fact, this can happen all over the body. Formication is the common meth induced hallucination of bugs crawling all over their skin. Small sores also appear and have the same effect where scratching and picking are concerned, as well. Weight loss is another common, unavoidable visible symptom of meth addiction. Meth itself causes bursts of energy and a loss of appetite, which causes the user to be moving around and going about their day, but without stopping to nourish themselves. Heavy meth users, for example, become frail, gaunt, and stick thin at a critically scary rate. Heavy meth users go on binges that last from days to a week, even more, at a time. During this time they rarely brush their teeth, eat, or sleep, if at all. These major visible signs, as well as the obvious destructive meth mouth, all rolled into one cause meth addicts to look decades older than they actually are. Once the onset of these visible signs, minus the meth mouth because dental work can be done, really take their toll it is impossible to reverse. To see examples of the visible effects that meth has on your appearance you can click here. Be warned, however, the before and after pictures you will see by doing so are not pretty. You can also see examples of meth mouth by clicking here. effects will become very difficult to reverse and fix. Cocaine strips your entire body of calcium and vitamin C, which are vital for a healthy mouth. They suppress your appetite and takes away from calcium and vitamin C, which is gained through food mostly and has an overall twofold effect on your oral health. Gingivitis, tooth loss and decay, and loss of bone structure are very common with cocaine abuse. The timeline is only a few months for your oral health to become damaged and even destroyed by cocaine use. Some users believe that taking calcium and vitamin C supplements will stop this problem, but that is very untrue. The human body needs a healthy balance of minerals and vitamins that are only gained through a healthy diet in order to work efficiently and absorb vital nutrients, minerals, and vitamins. 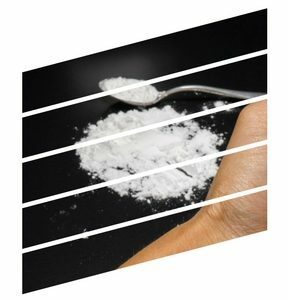 Supplements will do little to no good to help combat the effects that cocaine has on your mouth. Short-term crack abuse causes everything except serious damage to your oral health, but this period of time does not last long. Instead of crack running rampant in your mouth, it does so everywhere else to begin with, but the long-term effect of crack on your oral health is devastating. It starts out much like meth does. It ruins any chance of a healthy mouth by subjecting you to multiple cavities that lead to serious tooth decay and tooth loss further. Once that happens the bone structure of your jaw deteriorates and you’re left with no teeth and a ruined jaw. While the effects of crack on your oral health are not seen right away, they will hit you like a train eventually, and the hit is a very serious one. One day your oral health will be ruined and you’ll have little to no warning. You can see the effect that crack has on your teeth by clicking here. 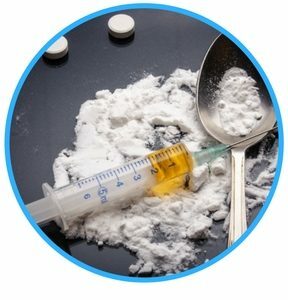 Heroin is right beside meth when it comes to the serious destructive effect it has on your oral health. Chronic users have reported that their teeth are falling out and even snapping off completely, which is scary to think about. Serious decay is more often than not experienced through ignoring proper oral hygiene and the drug itself. While long-term heroin effects are not identical and as serious as meth is, it’s still very close to what will happen. 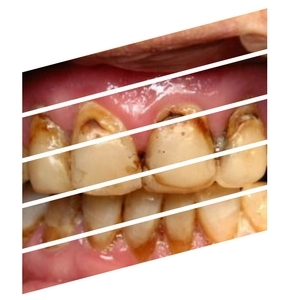 You can see what will happen to your teeth through prolonged heroin abuse by clicking here. Most people don’t think about the long-term effects that alcohol has on your teeth, but it’s a big one. Alcohol is a serious form of substance abuse, but because it’s legal, people don’t worry about it as much as they do in comparison to other drugs that are more serious. Alcohol leads to tooth decay because of the high sugar amounts. Frequent alcohol consumption de-mineralizes and weakens the enamel on your teeth, which will lead to serious tooth and gum issues. 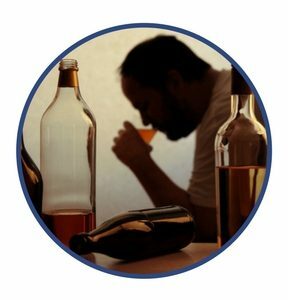 Chronic alcoholics often vomit from drinking too much, which leads to added enamel removal through the stomach acid in the vomit coming up and into the mouth. Those who binge on alcohol, throw up, and then pass out for the night are allowing the sugar and stomach acid to stew in their mouths. Paired with not brushing after this happens, your teeth are going to decay at an extreme rate. Instead of being a long-term effect, it will become a short one and quickly wreak havoc before you know it. Whatever your addiction may be, there are avenues at your disposal that will help you beat it and cease your substance abuse in a healthy way. Detoxing and going clean on your own is very difficult to do. Some drugs, such as meth and heroin, cause the body extreme pain when the drug is flushed from their system. Chronic addicts would crawl through glass to get their next fix in order to avoid the pain and other awful withdrawal symptoms. Addicts will attempt to try going clean cold turkey on their own, but will break and crumble under the withdrawal symptoms and almost immediately pick up the drug again. Therefore, going clean is a great idea that will change your life, but often ends in failure when attempted alone and without professional help. No two addictions are the same, so treatment for addictions have to be tailored to whatever substance abuse is occurring with an individual. Tailored treatment programs and options are crucial to addicts staying on the path of becoming clean. Recognizing and admitting that you have a substance abuse and addiction is the first step to getting help and becoming clean. The second is reaching out for the help that you need. In doing so, you will find that there are multiple options and routes you can take to aid you in getting the help that you desperately need. Even if you are not a chronic user, getting help is still critical to your health. It will save your life even if you are not close to death already from drug use. 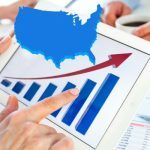 QuitAlcohol.com is an American website that has all of the best rehabilitation centers for both alcohol and drug addictions across the country listed, and they can help you find the exact help that you need. Rehabs.com is the same as QuitAlcohol.com, but it has more tailored options that you can use. There is information, search engines, and more that will help you get in touch with a counselor or a rehab facility in your area that will take you in. The Canadian Drug Rehab Centres is a website that is tailored for those suffering from substance abuse and addiction. It’s a mass directory of programs, support groups, counselors, and rehabilitation facilities across the country that will help you find the help you need wherever you may be in the country. Canada Alcohol and Drug Rehab Programs is another directory website that can give you all of the help you need to get clean, as well. 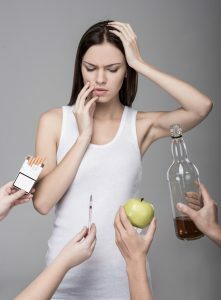 Substance abuse and addiction do not only affect your oral health but your entire life overall. While oral health is one of the main concerns when it comes to these addictions, getting the help you need will ensure that your mouth, and your life, will not fall apart and leave you helpless. If your teeth have suffered large amounts of decay from drug abuse, you may need to find an oral surgeon to help you treat your teeth. To find an oral surgeon, you can call our 24-hour hotline or talk to your primary health care provider to get referred to an surgeon. This academic piece is great for those who are looking for theories and professional insight on substance abuse and addiction. It’s best for professionals who want to learn more about and understand how substance abuse and addiction works. 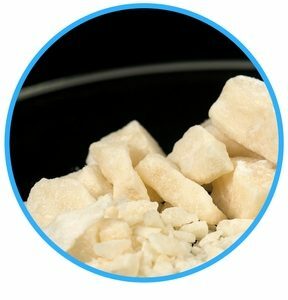 This guide is best for those who know someone with a meth addiction, a professional who wants to learn more about what meth does, or even a user who wants to understand their addiction. It’s actually very insightful and informative and could help an addict understand what they’re doing to themselves by using and abusing it, and may even shock them enough to seek help. 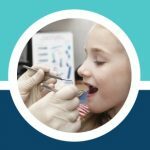 This website is extremely helpful to all looking for information on what drugs do to oral health. It outlines most of the common North American street drugs and has been posted by a rehabilitation clinic. It even has a phone number that you can call to get help with your addiction, too. This forum/website is a great place for users and addicts to seek answers if they are not at the stage of seeking professional help. It may even help a user or addict to want to seek help once they see what others are going through, how they kicked their addiction, etc. 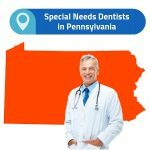 Emergency Dentists USA – Find a local dentist open Sundays or any day of the week get help with your dental needs. 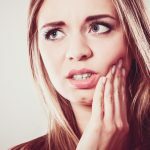 This article outlines what drugs and alcohol will do to your oral health perfectly, so it’s a great source of knowledge for all types of addictions. It was posted by a rehabilitation clinic that offers phone numbers to call for counseling and even enrollment in a rehab program. This article/guide is perfect for those who want to understand how addiction works and what treatments exist. Overall it’s perfect for people who have a loved one facing addiction who are looking for ways to help them. This rehabilitation clinic’s website is for Canadians who are either needing a push to seek help or for those who want to seek help already. It offers different programs for different addictions, multiple numbers to call, and is basically a mass directory for Canadians suffering from substance abuse and addiction. This website is a mass rehabilitation clinic directory for the United States. It can give you the information you need for rehab programs and clinics, counselors, etc.